​​​The Hart County Historical Society has been awarded an Arts Access Assistance Grant through a program of the Kentucky Arts Council, the state arts agency, which is supported by state tax dollars and federal funding from the National endowment for the Arts. Monies were also provided by Citizens First Bank, Hart County Chamber of Commerce, Munfordville Tourism Commission, Hart County Bank and PBI Bank. An important handmade basket exhibit, featuring local basket makers, baskets, videos, pictures, implements and storyboards, will be presented September 9 – October 8, 2016 by the Hart County Historical Society. Details below. NOW EXTENDED through Nov. 12. 1/4 mile south of Hart County High School. Opening of the Hart County Historical Society’s exhibit: Hart County Baskets; Ties that Bind, telling the remarkable story of Hart County basketry from this area’s earliest settlers until today. 9-5; basket makers and demonstrations available. Bob Gates, Folk Life Specialist will lead “Conversations with Basket Makers” on the court house square. Monday through Friday, September 12 through October 8, exhibit open from 10:00 until 4:00 daily. 1:00 until 4:30 P.M. Come to the Kentucky Museum and meet the basket makers who will bring basket projects they are currently completing. 6:00 until 8:00 P.M. Opening of Western’s exhibit: Standing the Test of Time; Kentucky’s White Oak Basket Tradition. Exhibit will remain open through January 31, 2017. Saturday, September 17, 10:00 through 3:00. Come to the Kentucky Museum and meet the basket makers. This activity continues and the exhibit will be open. Friday, October 7th, 5:00 until 7:00, You are invited to “Dinner With the Basket Makers” at the Old Munfordville Inn, Washington Street, between West South Street and Old Street, an informal, pot-luck dinner, hosted by Hart County Historical Society board members and basket makers. Beth Hester, basket maker and basketry expert, will be present to tell visitors more about their own baskets. If you have an old basket, locally made or imported, this is your chance to learn more about it while getting to know our basket makers. Bring it with you to this event for an expert’s opinion on its provenance. $10./person, $15/couple, for dinner and a basket review, or bring a dish. Saturday, October 8th, 9:00 until 4:00, at the Munfordville City Hall, 111 Main Street, Munfordville. 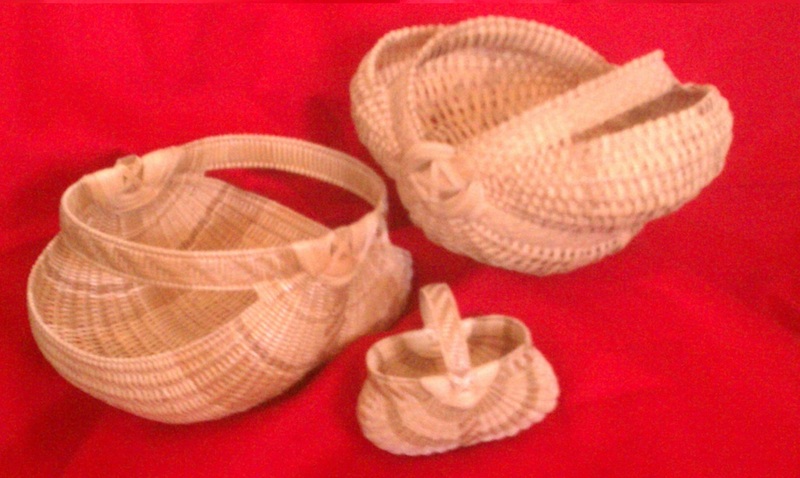 An adult class on basket making will be taught by Beth Hester. Make a small melon-shaped basket in a day-long workshop with basketry expert, Beth Hester. A part of your materials fee is covered by the Historical Society’s donors, so the total cost of this class will be only $25./person. Because the class size is limited to 12 people, advance reservations are required by Friday September 30th.